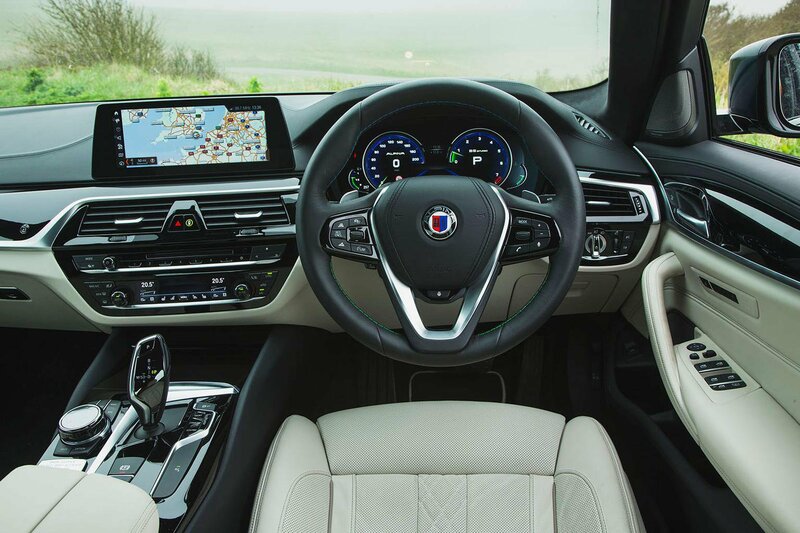 Alpina B5 Interior, Sat Nav, Dashboard | What Car? 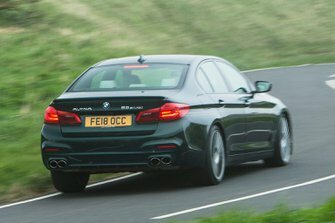 Other than the bespoke blue speedo and rev counter displays, which look rather blurred compared with BMW’s super-sharp graphics, along with the Alpina-embossed threshold kick plates that greet you when you open the doors, there are very few differences between the B5 and any high-end 5 Series. Material quality and the overall fit and finish are first class and you get well-bolstered, supportive sports seats that offer a wide range of electric adjustments. 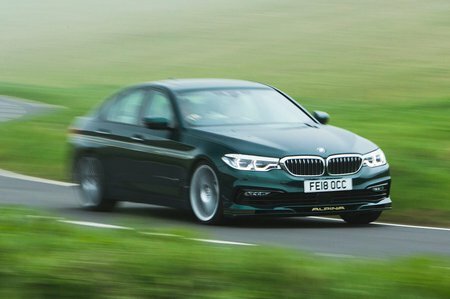 However, unless you specify the pricey Alpina-specific leather upgrade, the B5 doesn’t feel as plush as the upgraded interior that’s standard in the M5, nor do you get that car’s bespoke sports seats that offer even greater support. That said, despite the pedals being slightly offset to the right, you shouldn’t have too many problems finding a decent driving position. Visibility is pretty good all-around; there are front and rear sensors, plus a rear-view camera, to help guide you into tight parking spaces. The B5 also comes with BMW’s famed iDrive, which is one of the most intuitive infotainment systems of all to use while driving. This is down to better organised menus than those in the Mercedes-AMG E63’s infotainment system and the fact that everything can be accessed promptly through the high-definition touchscreen, the excellent rotary controller with shortcut buttons or the handwriting facility. The additional gesture control system is a bit of a gimmick, though, and doesn’t add to the system’s ease of use.